Tearing up the dance floor at the Falling Creek Park picnic shelter in Bedford, VA was none other than the birthday boy himself, Ayden Carter. 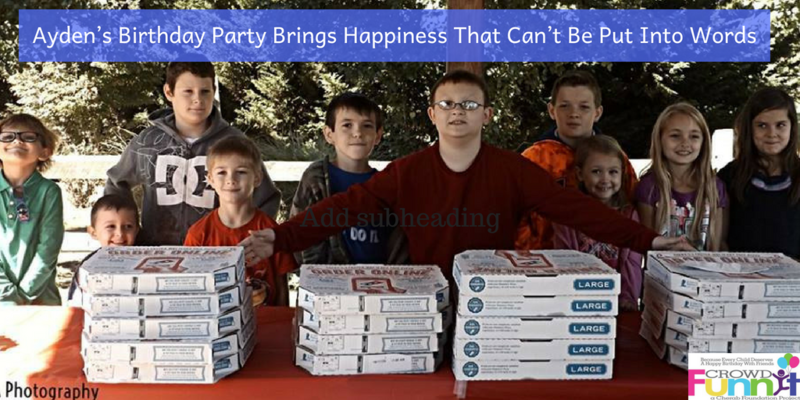 Thanks to DJ Joshua Clougherty of Bass, Steak and Fries, Ayden and his guests got to show off their moves, celebrating a day of newfound friendship and fun. Special thanks also go out to local bakery, Superior Sweets, for their one-of-a-kind tri-level superhero cake and Rayne Ashton’s Photography, who captured all the sentiments of the day. All three of these real-life superheroes not only contributed their invaluable talents but adjusted their schedules to accommodate a date change due to Hurricane Juaquin. Courtney Wheaton a reporter from news ABC 13 WSET was there to cover the day’s festivities. Partiers got to feast on Chik-fil-A and Dominos, both companies generously donating food for the event. “I personally didn’t know who was a stranger and who knew each other,” said Rayne Ashton, observing the comradery befitting a gathering of old friends. In truth these were mostly strangers coming together to let one little boy know he’s not alone in this world. crowdFunnit team members Jude Clough and her 16 year-old daughter Ashley as well as Richard Stripp and his wife Liz, all made the journey down from New Jersey (an 8 hour drive!) with party activities and good cheer to add to the festivities. Ayden has always had difficulty socializing with other children, a symptom of his autism diagnosis. Joshua Claugherty knows the feeling well, being on the autism spectrum himself. He found his voice in music and has made a successful career for himself as a DJ. 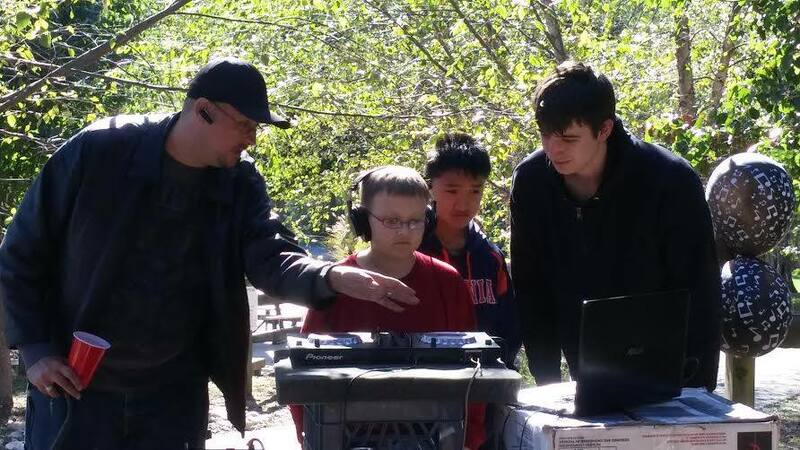 More than the amazing gold plated headphones he bequeathed to Ayden, he passed along his love of DJing to his new apprentice. Photographer Rayne Ashton brought her gregarious young son with her who spent his time playing with everyone while she captured the day’s events. “He really bonded with Rayne’s son,” said Rebecca Carter, Ayden’s mom, and the two plan to become pen pals. Another boy in attendance was a friend who had moved away a few years ago. Rebecca plans to remain in contact with his mother as well to help maintain the friendship. 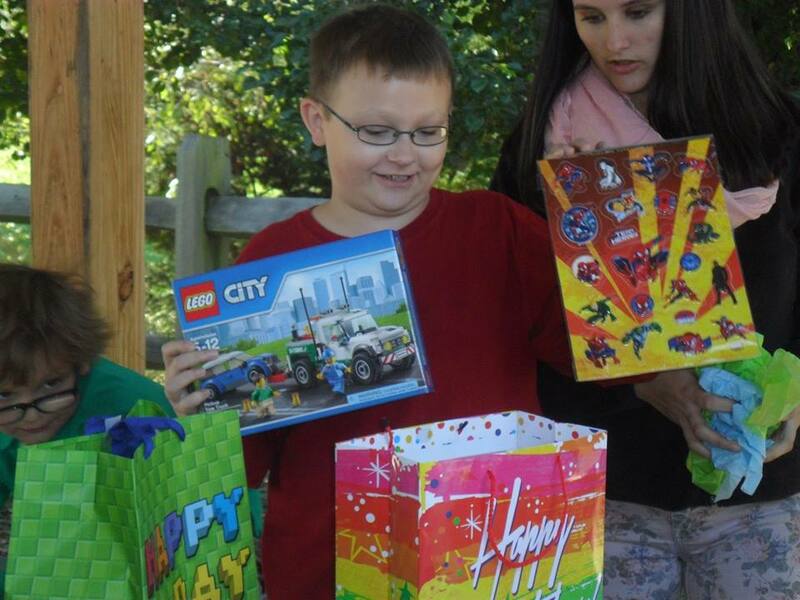 crowdFunnit put out the word for Ayden’s party on social media which is how Joshua learned of the event. 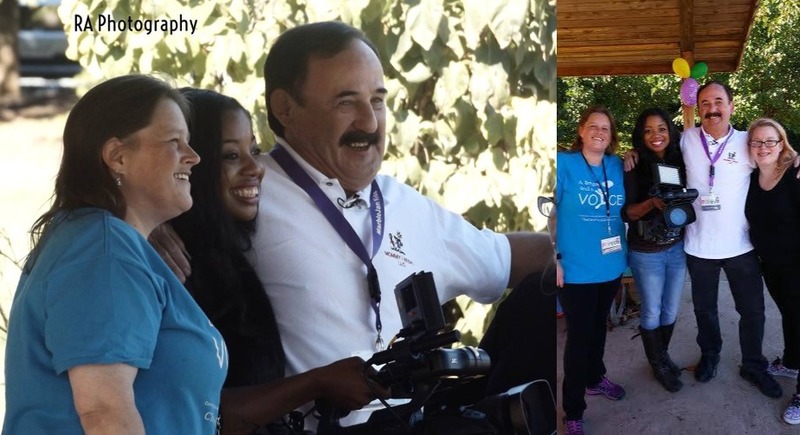 With a GofundMe site, crowdFunnit was able to raise the money to hire Joshua at an extremely reduced rate. “I saw the post on Reddit and I had to check it out,” said Joshua. 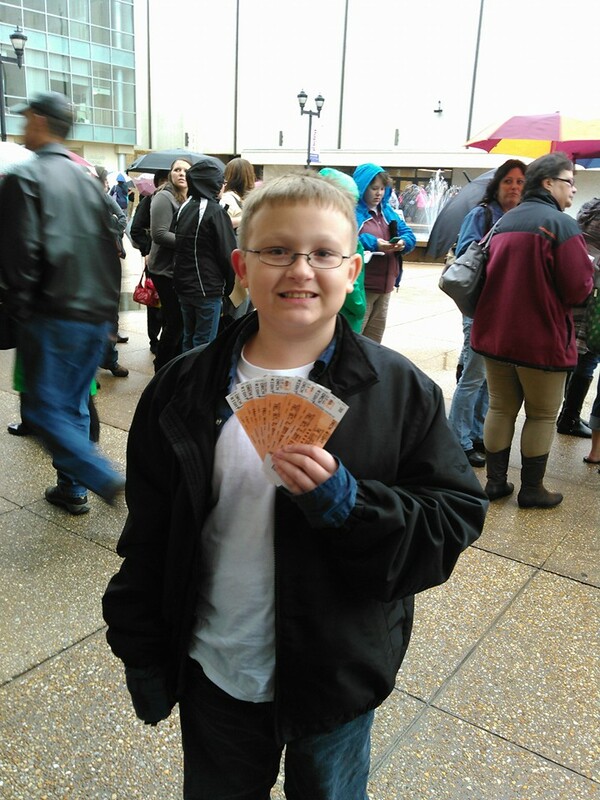 “My heart just went out to Ayden and I thought it would be a good opportunity to help out. Having a similar experience myself, being on the autism spectrum growing up and understanding how that felt, I decided I had to reach out.” And reach out he did. “We were all shocked when he gave Ayden his headphones! I think those where Ayden’s favorite gift!,” said Rebecca. 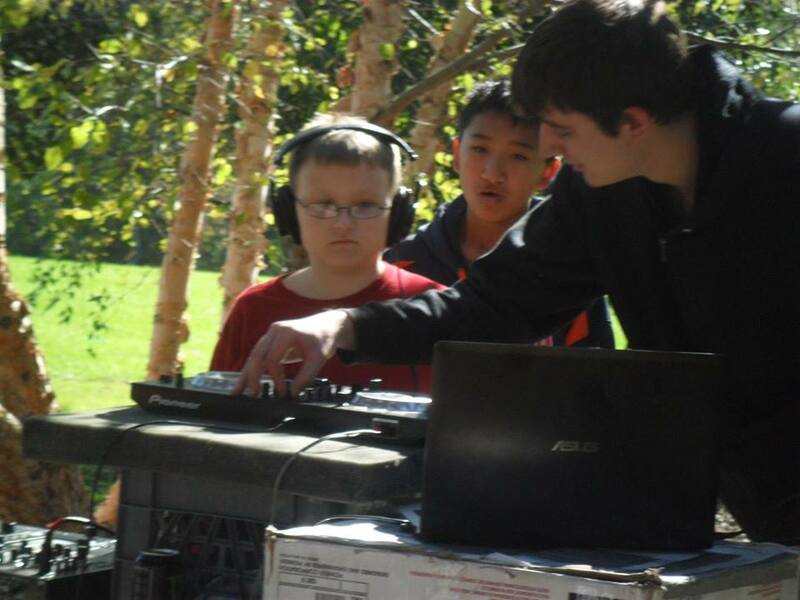 “Now he wants to get other equipment and to start learning to DJ,” she added. This last comment is why crowdFunnit exists. And even before the party there were some special happenings for Ayden Special thanks for helping make that happen goes to The Berglund Center for donating 6 tickets for Ayden, his Mom and Dad, his sister, and his Nanas and Papas so the entire family were able to attend and enjoy “The Illusionists“, October 2nd as an early birthday present for Ayden. The show was incredible and Ayden was completely beside himself when he found out he would be able to attend!